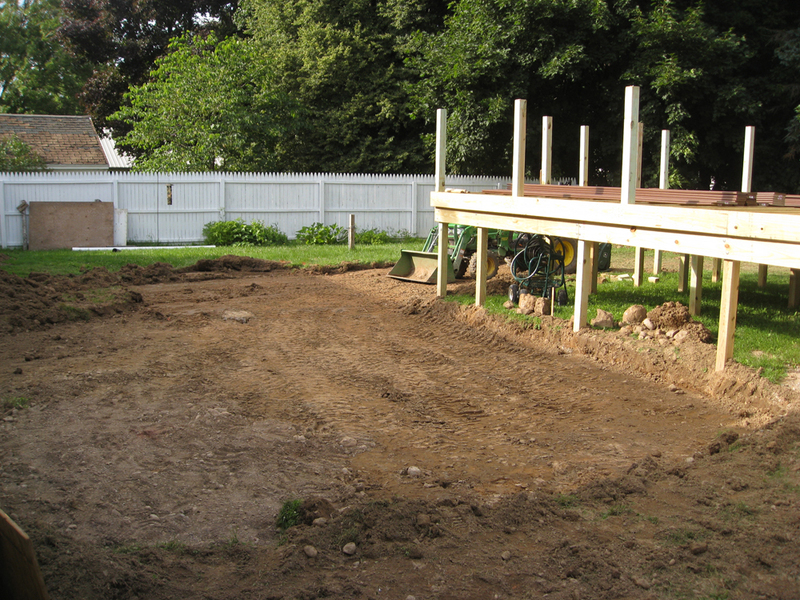 So we finally broke ground on the backyard deck project. 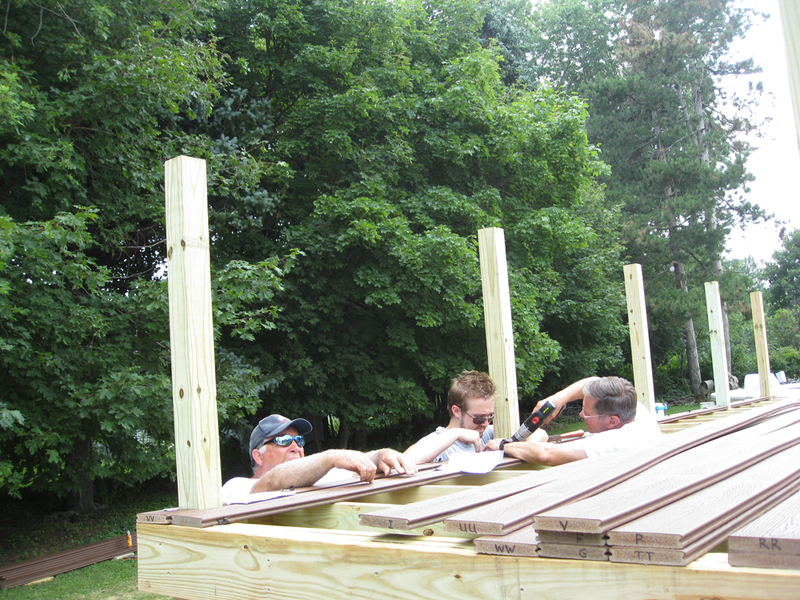 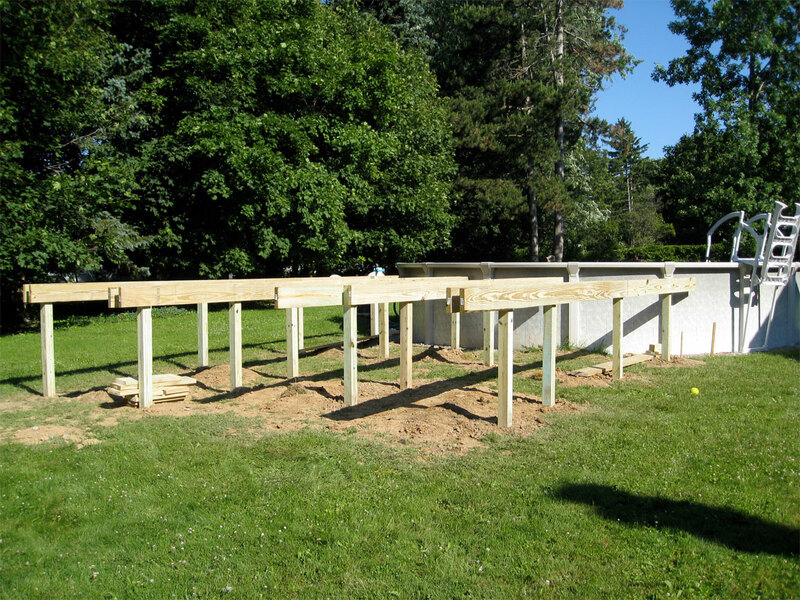 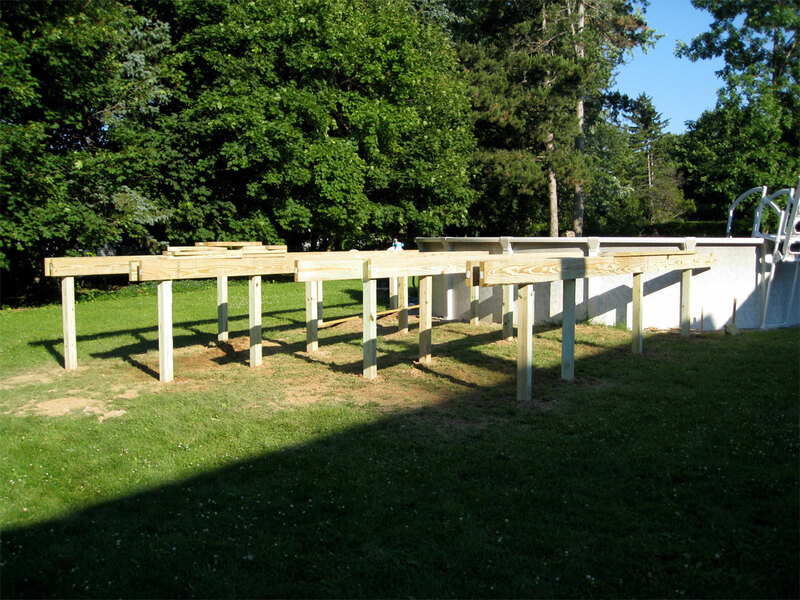 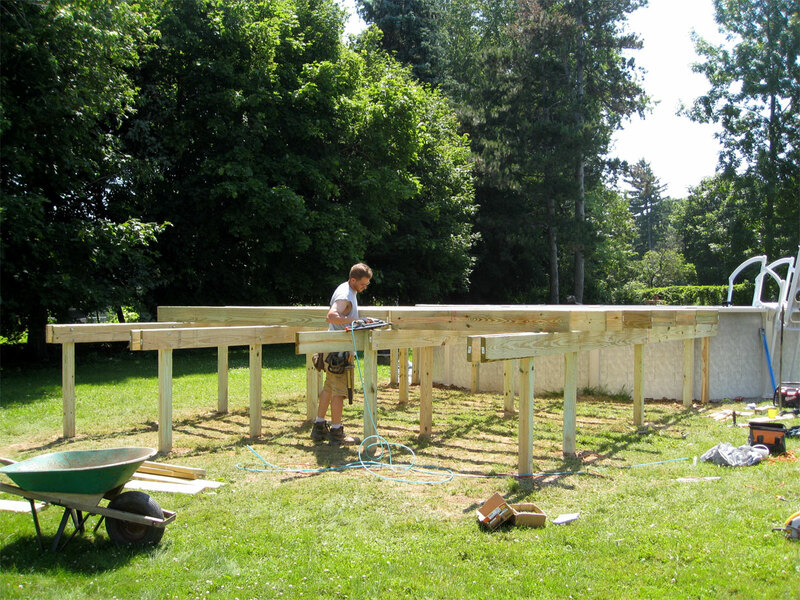 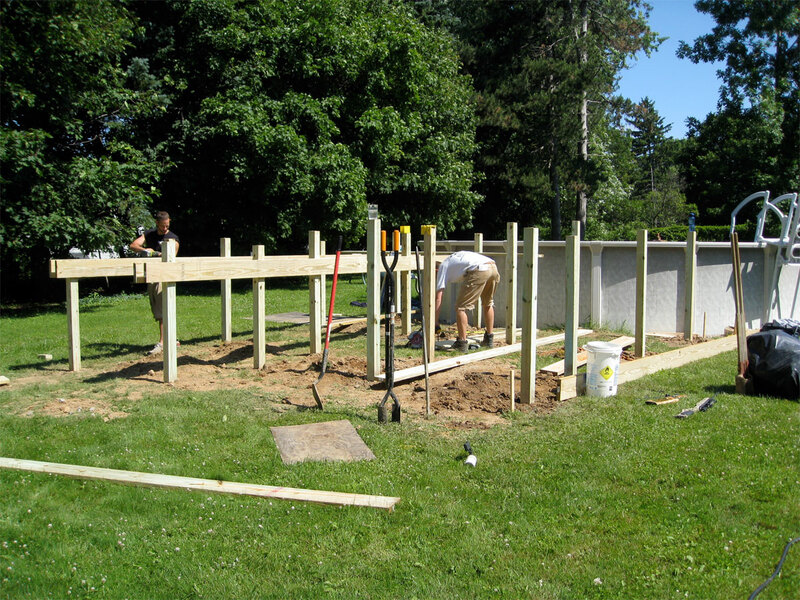 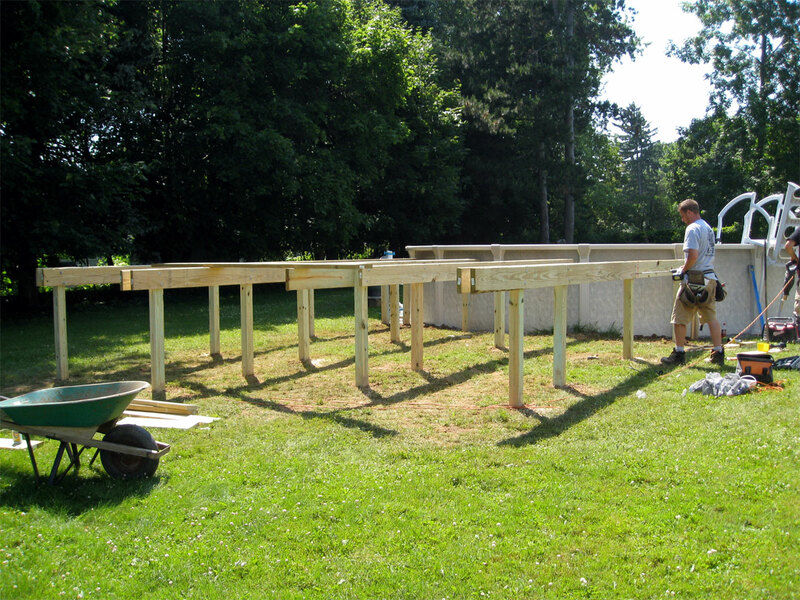 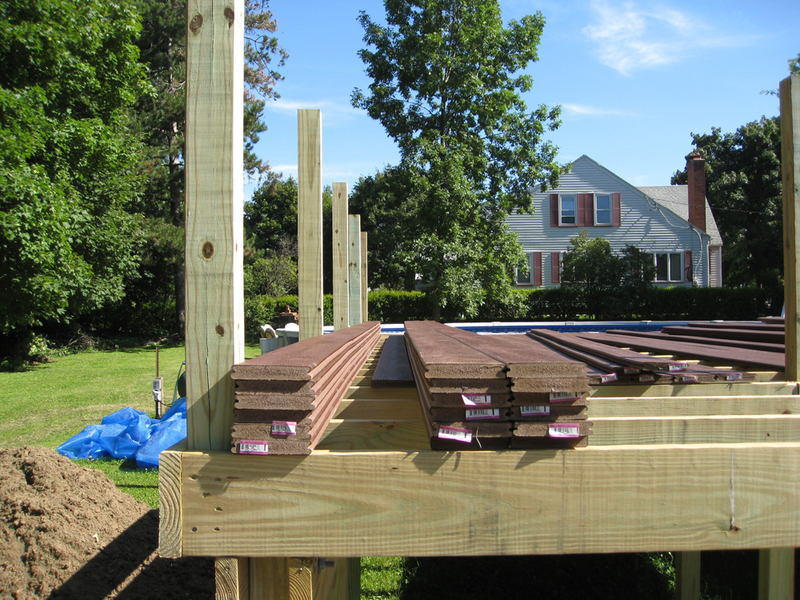 It took the guys about three days to dig the post holes, put the posts in and attach the beams and joists. 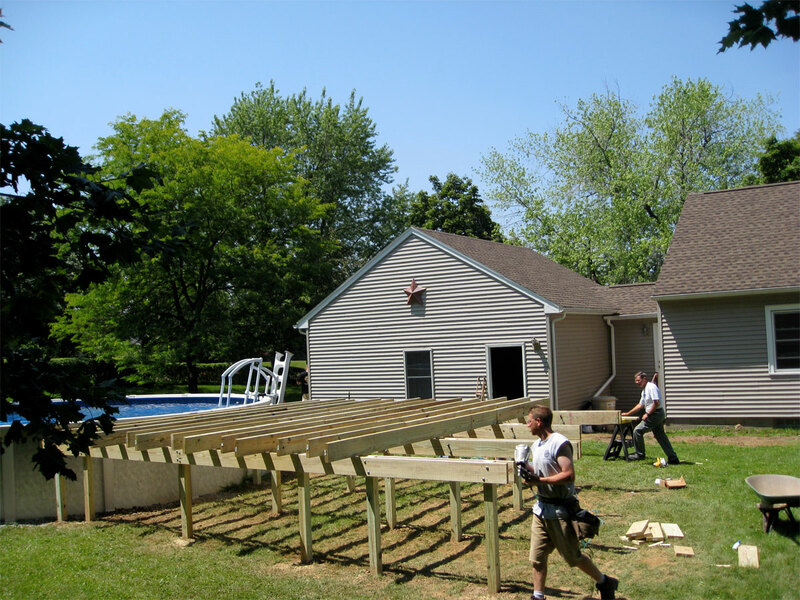 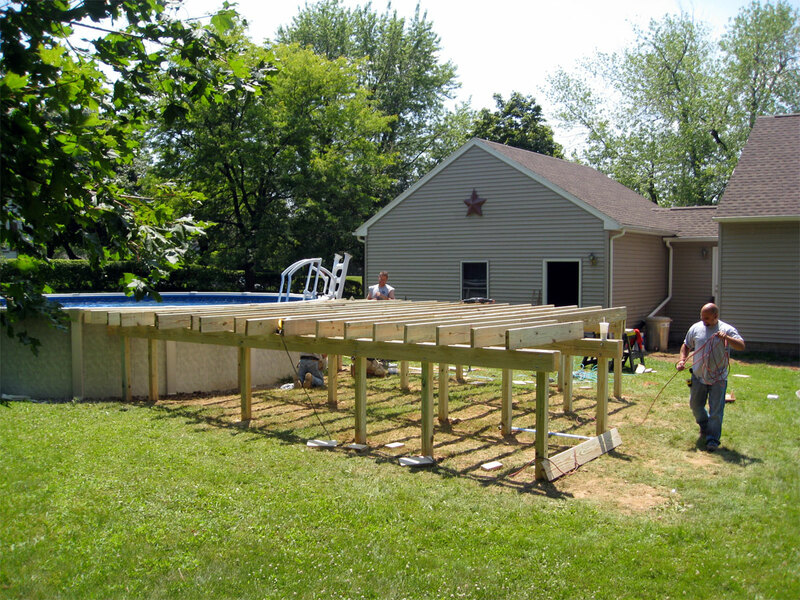 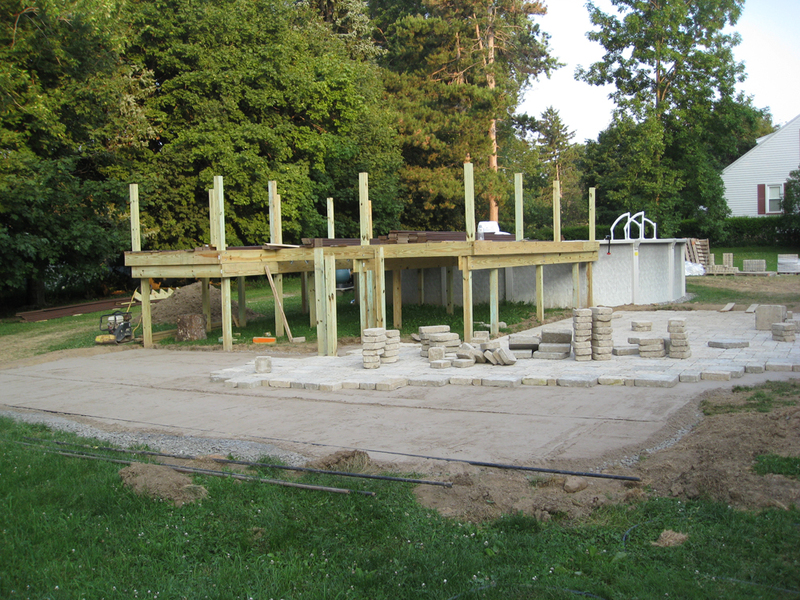 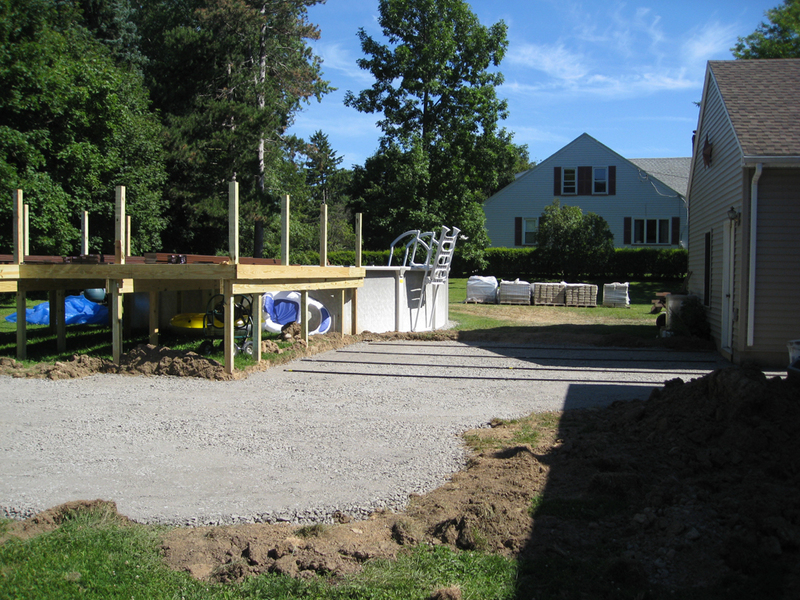 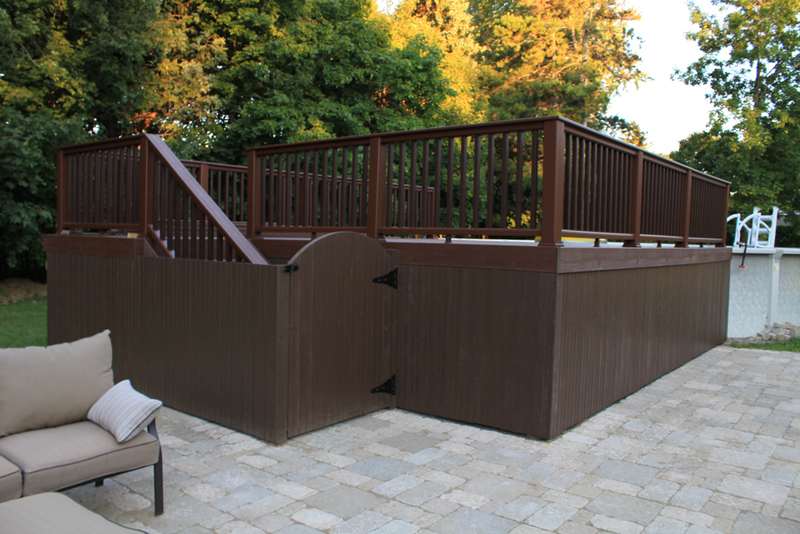 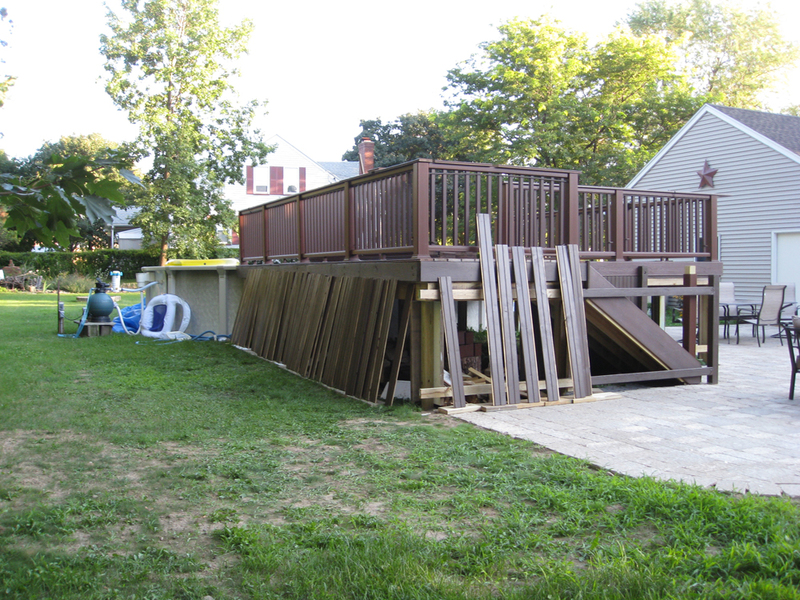 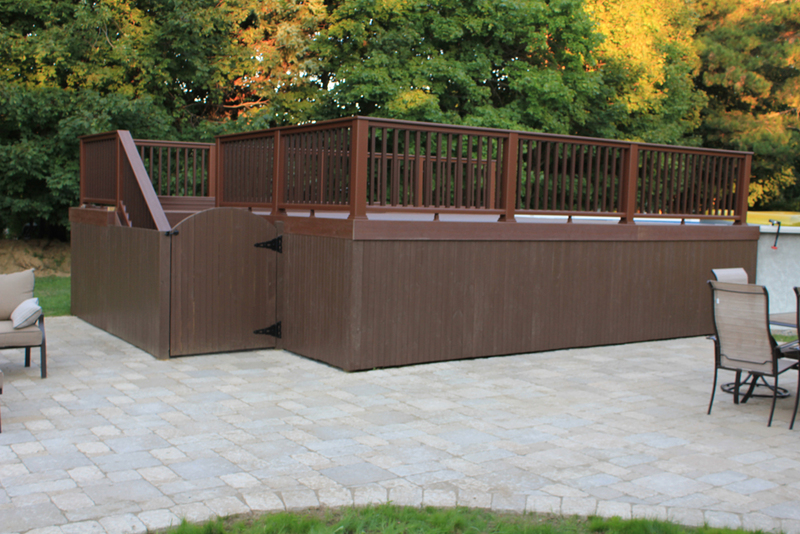 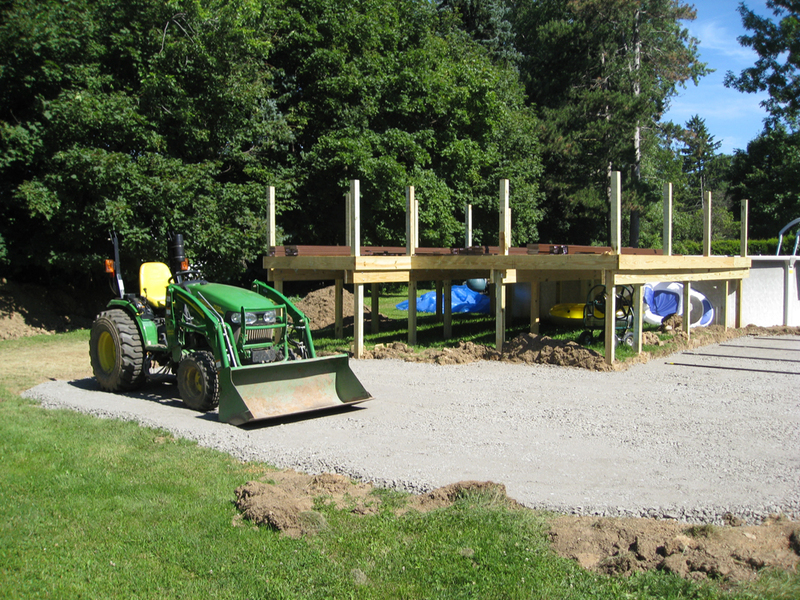 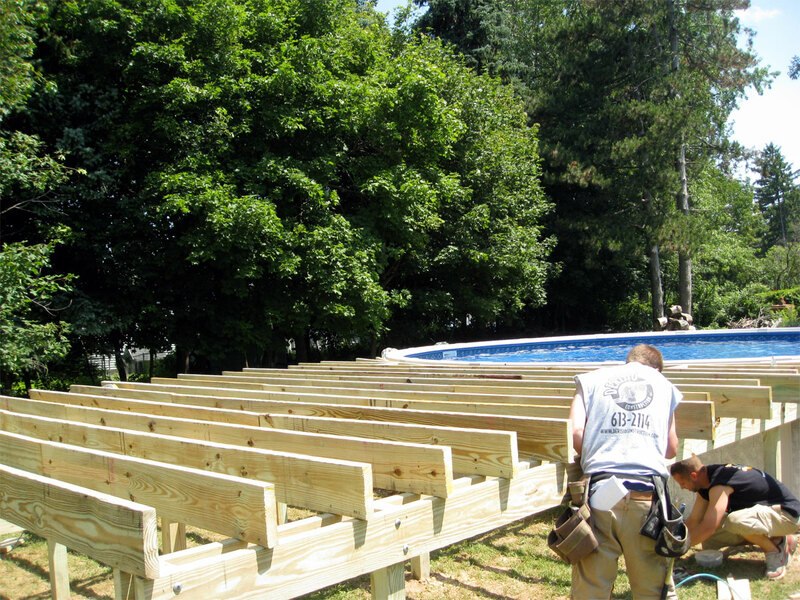 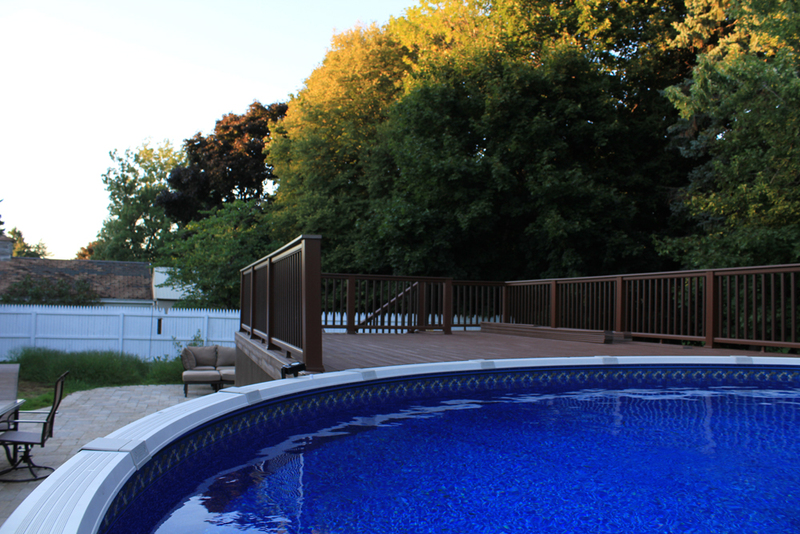 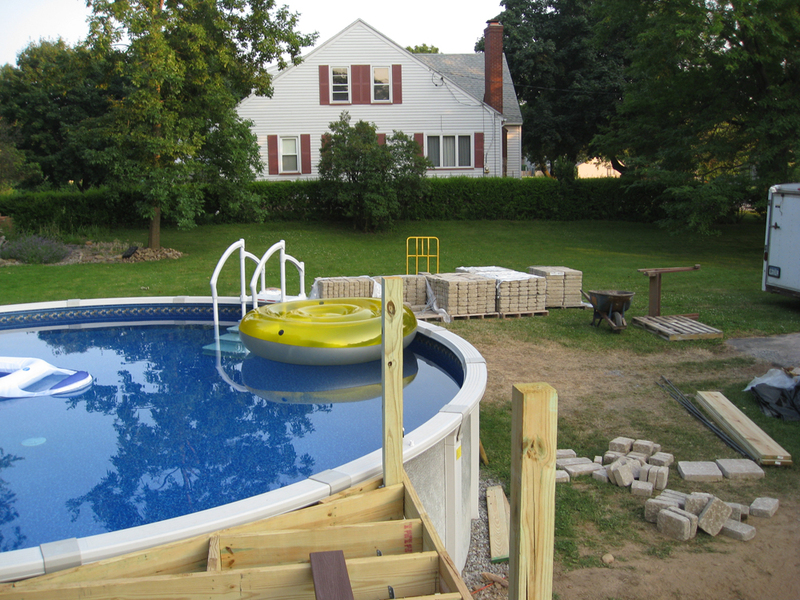 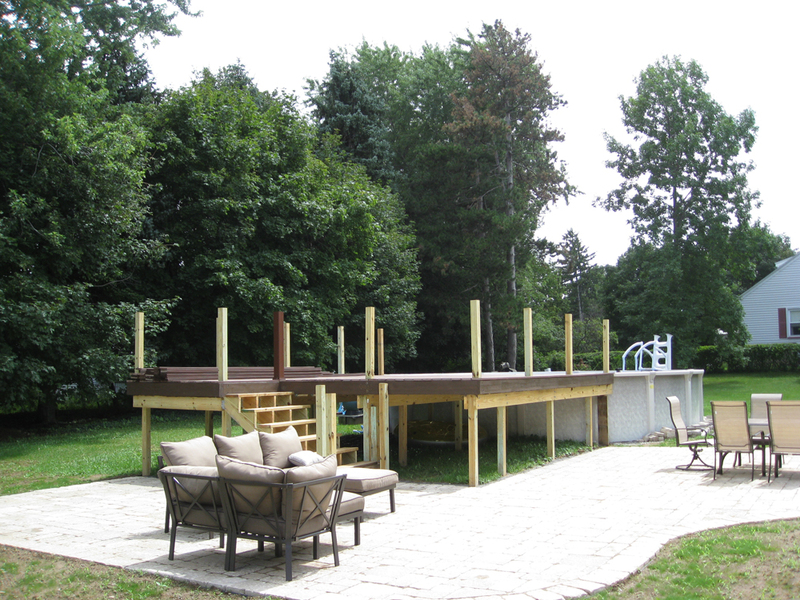 Now we’re just waiting for the actual decking to arrive so we can use this massive structure in our backyard. 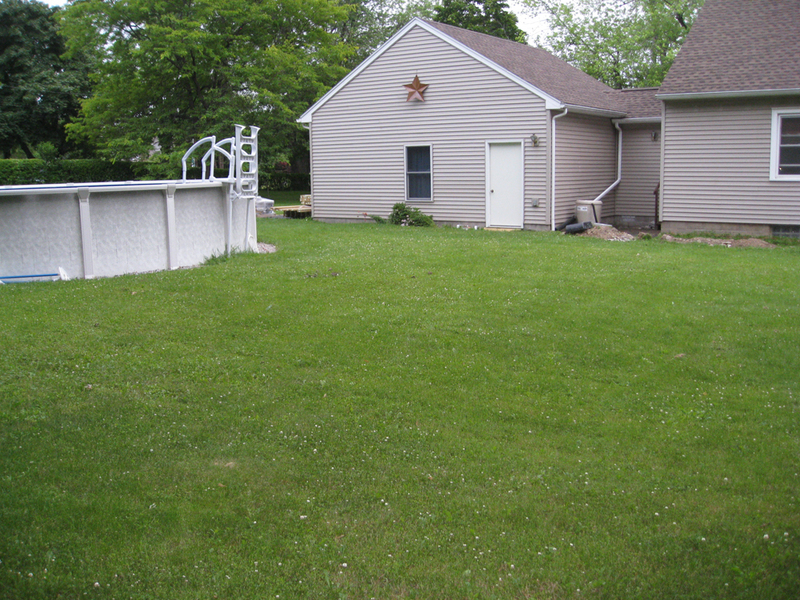 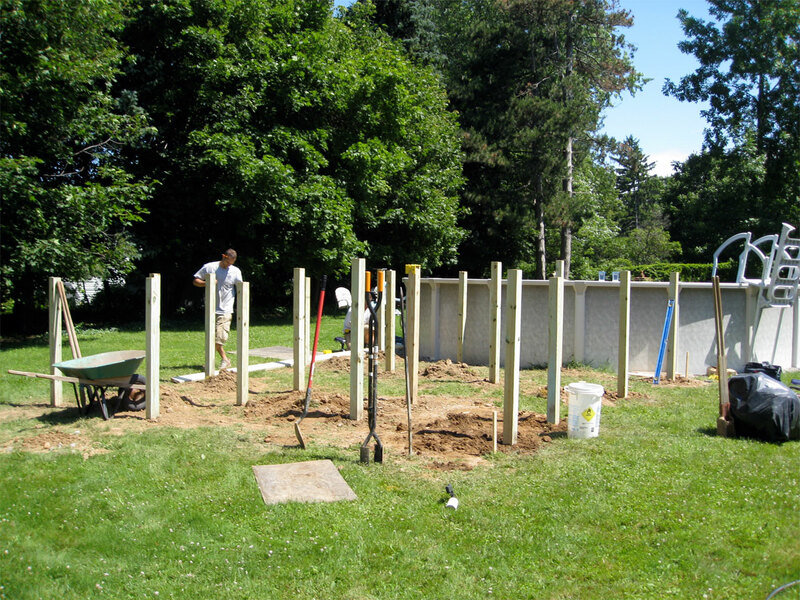 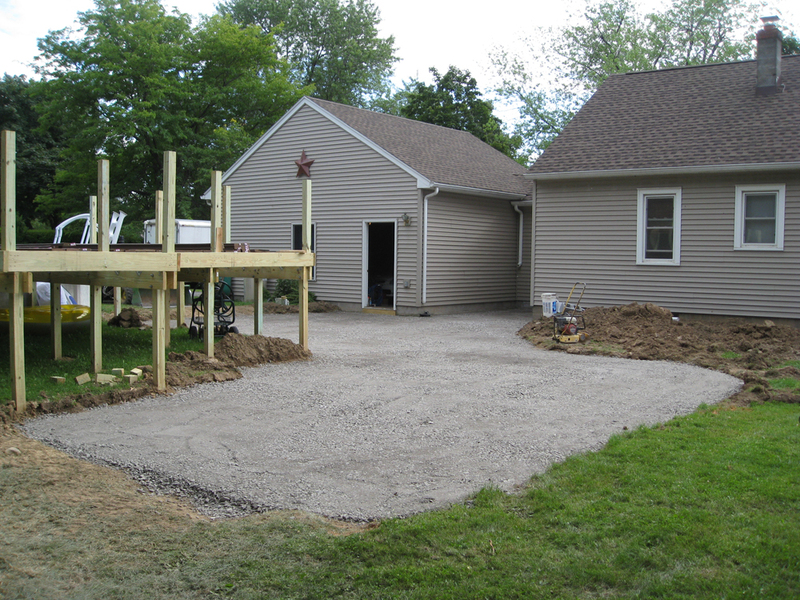 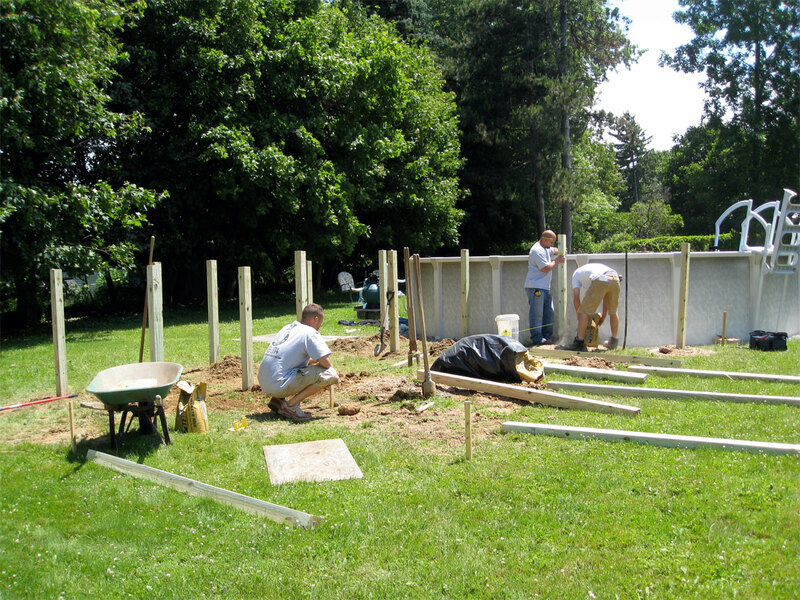 I started this post the first week of the backyard project (ie. 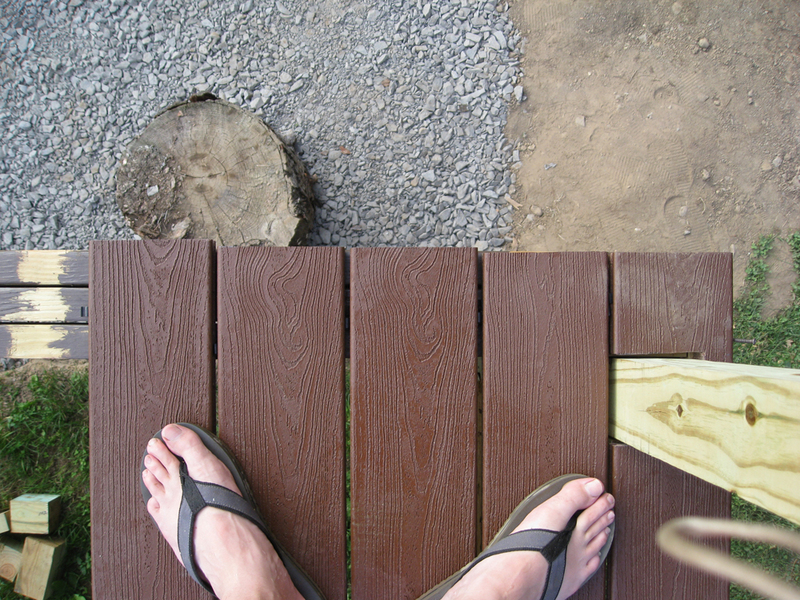 this first mini paragraph) – then never got around to following up. 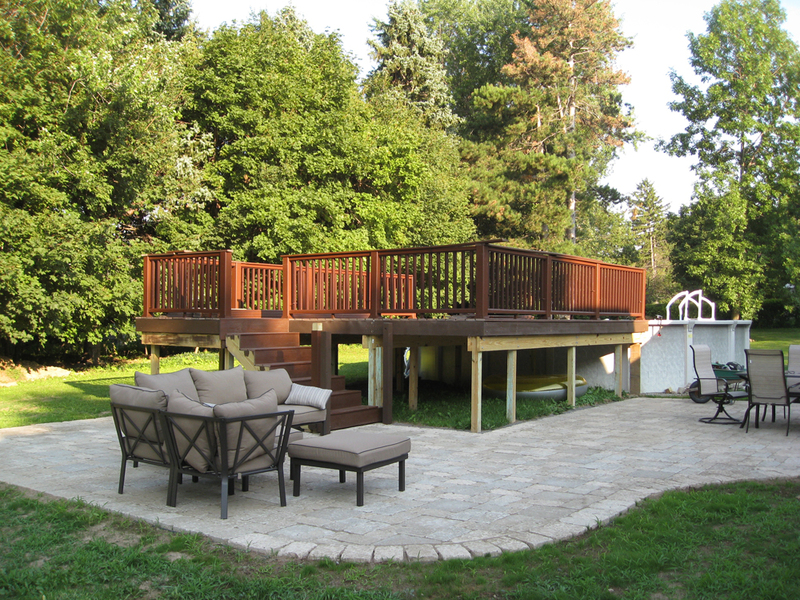 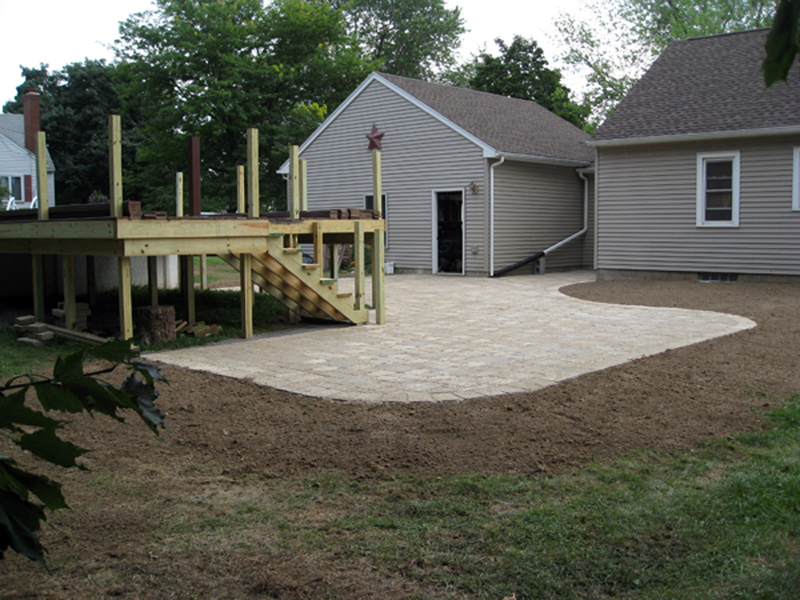 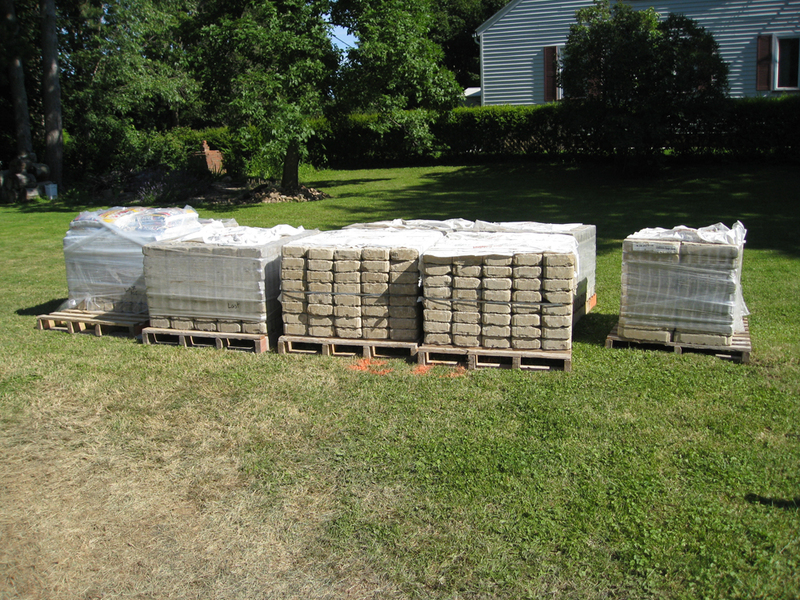 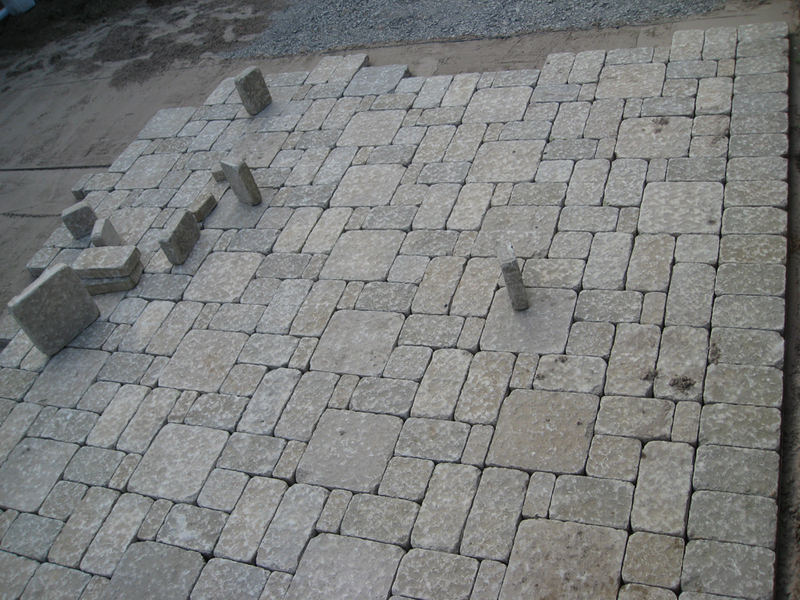 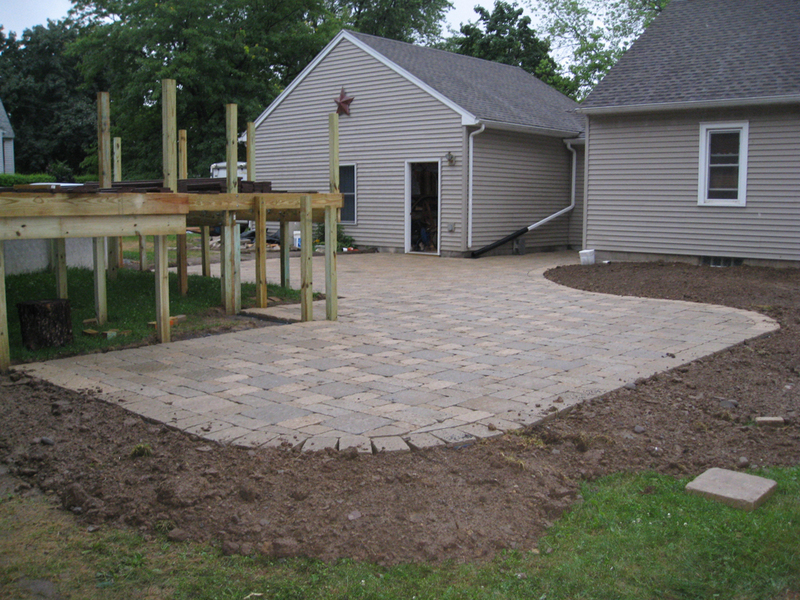 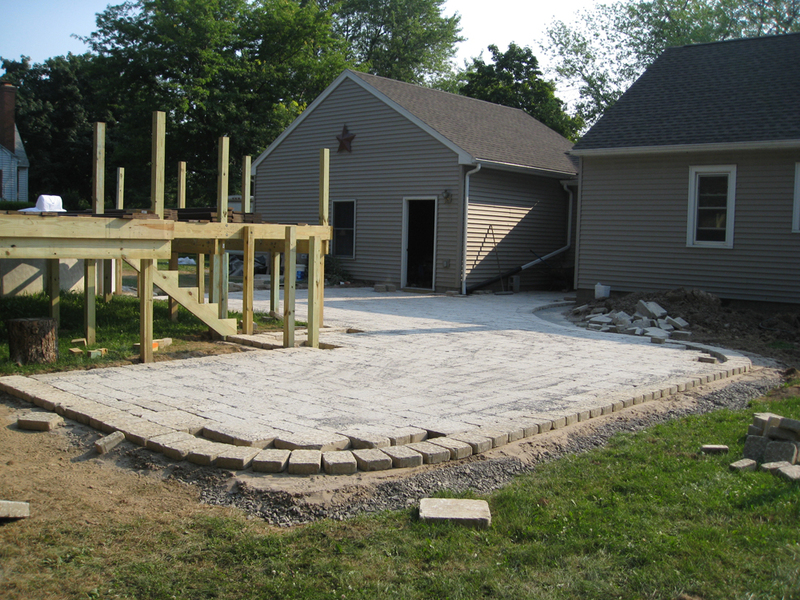 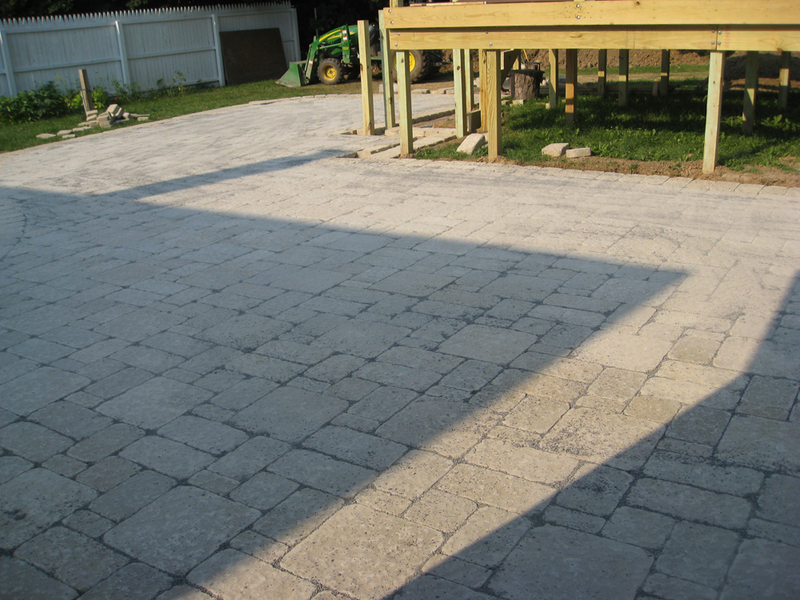 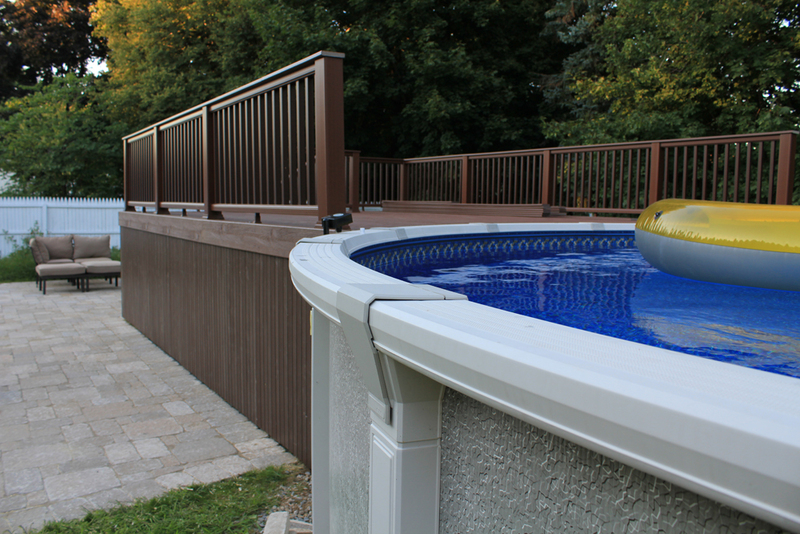 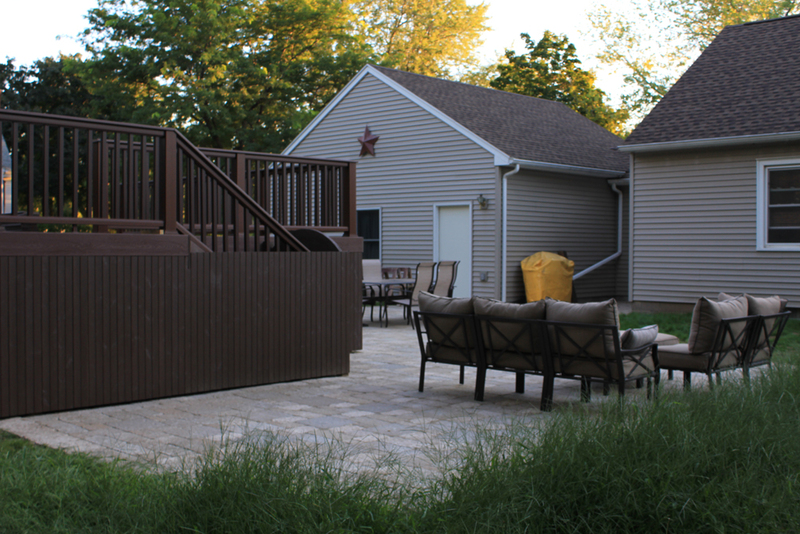 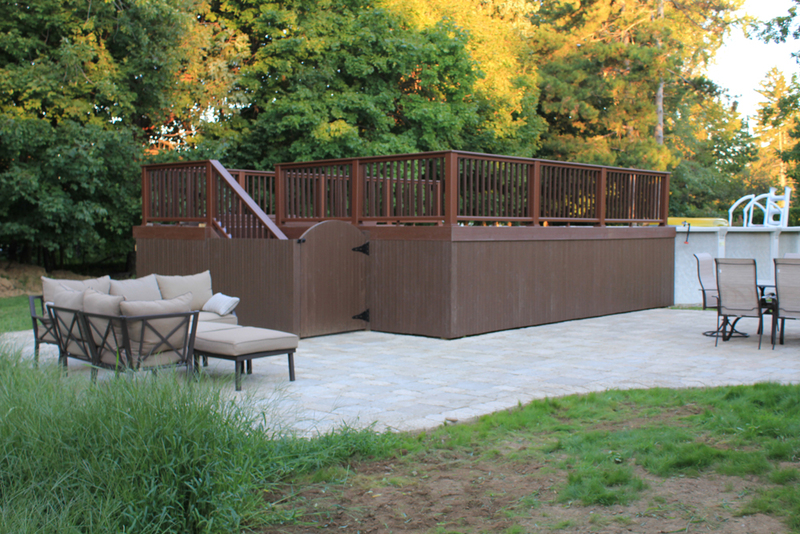 We hired DeRisio Construction to complete the stone pavers and the deck posts. 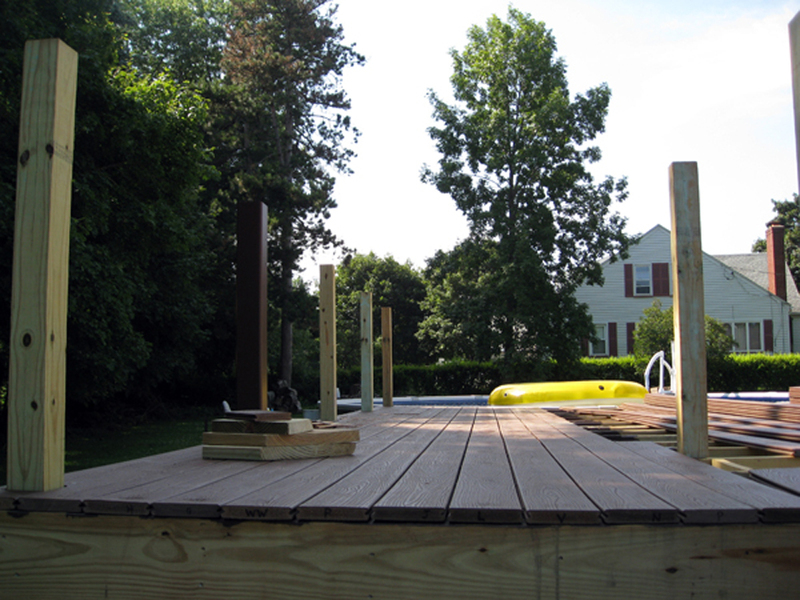 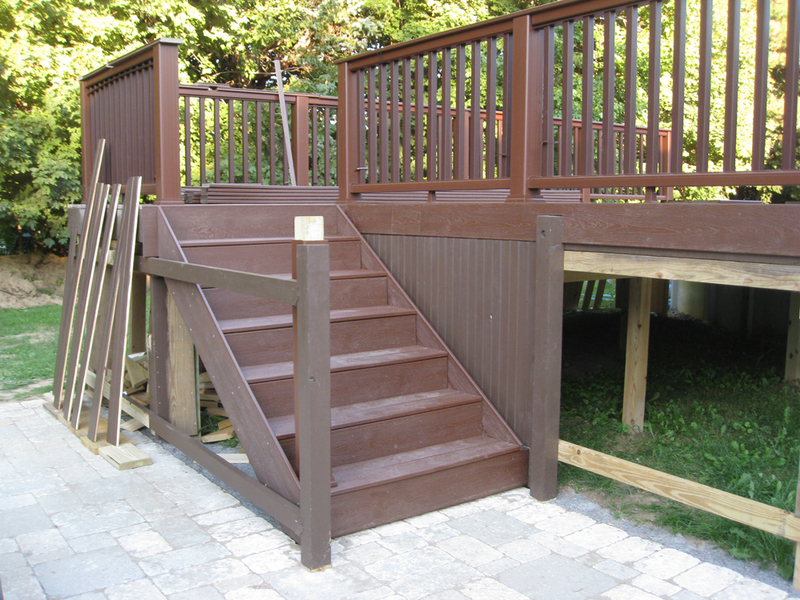 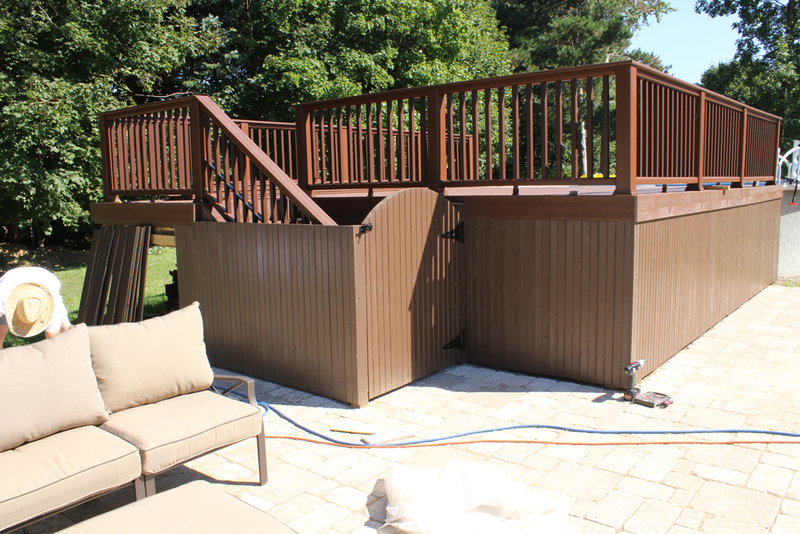 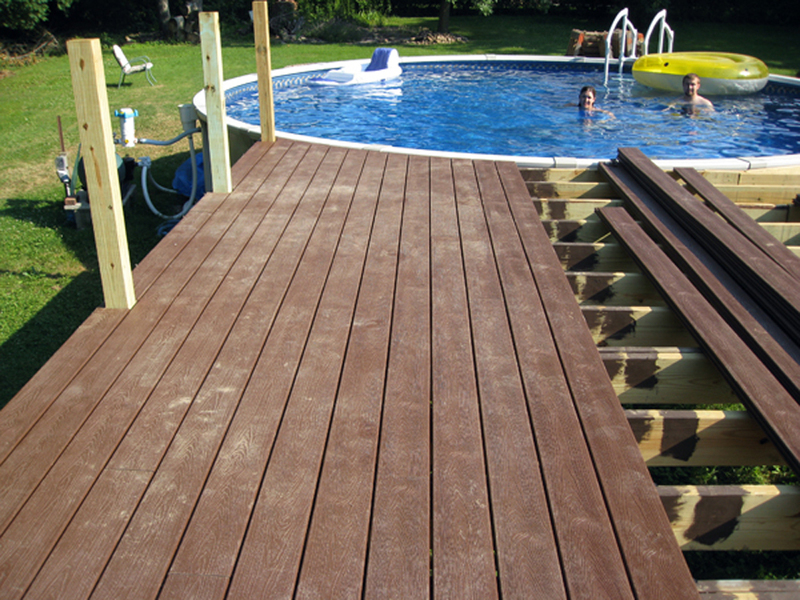 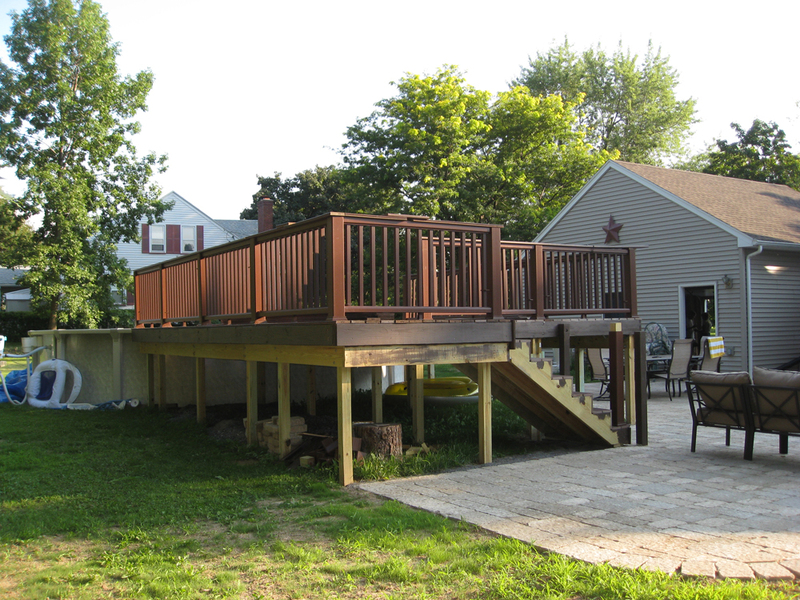 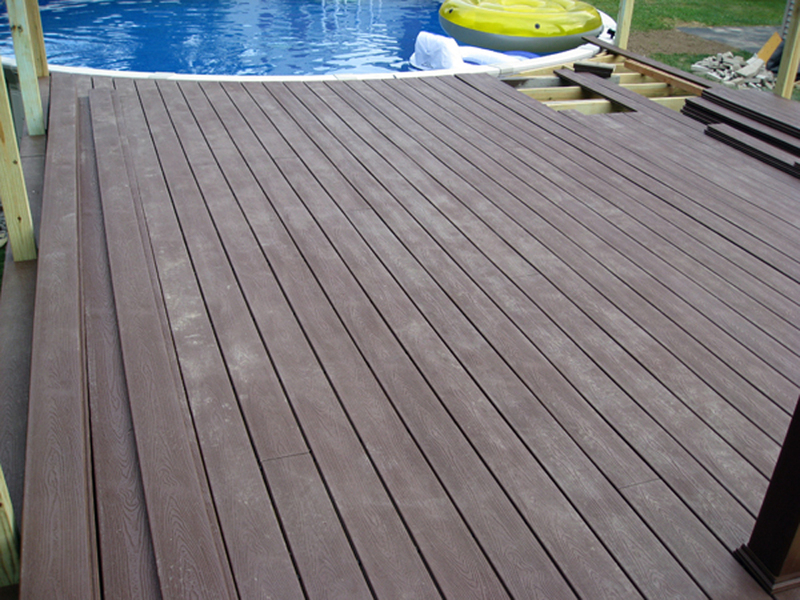 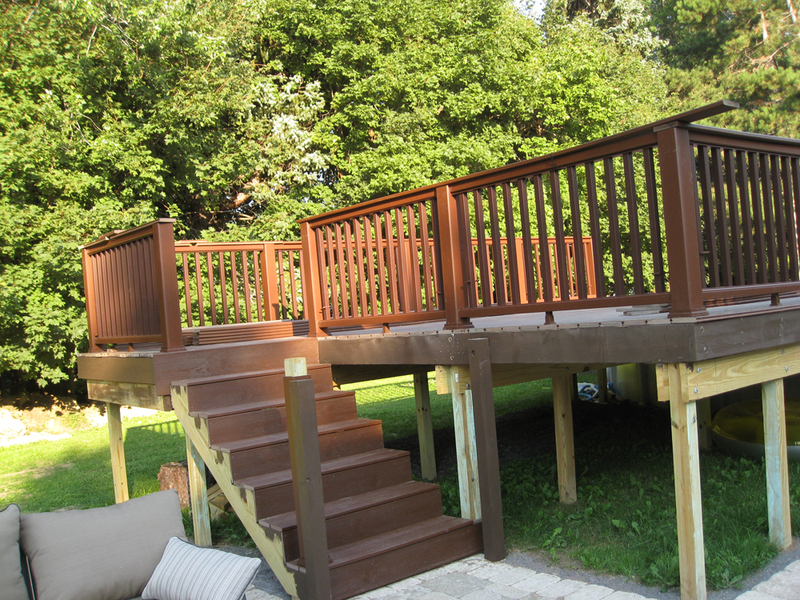 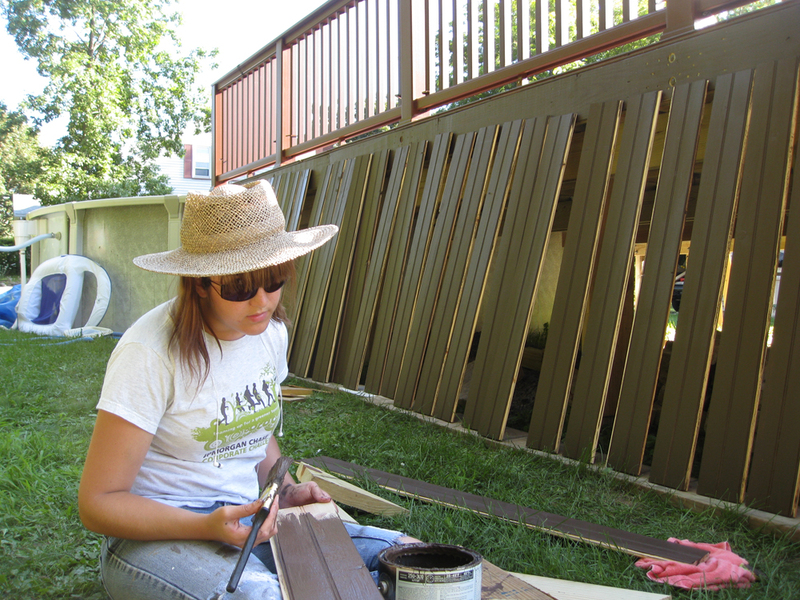 Then we finished up the deck ourselves. 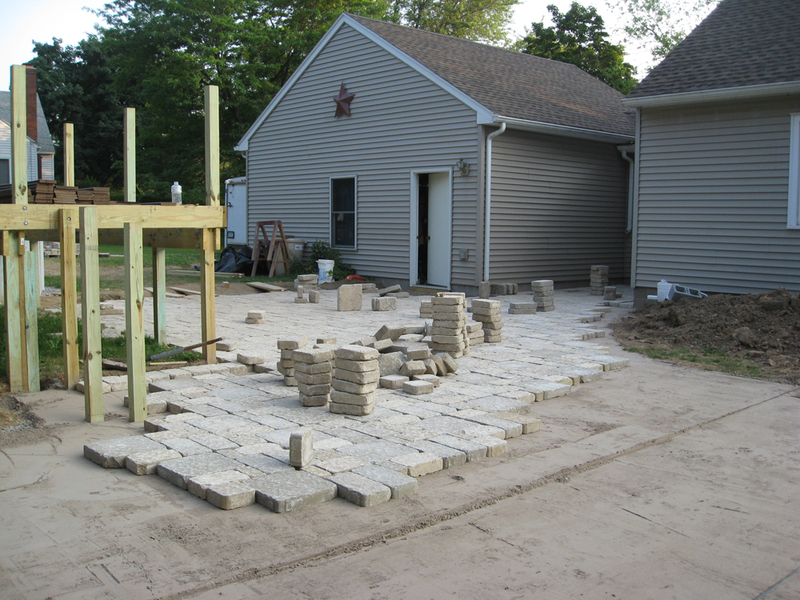 This project started in June and took more or less the rest of the summer. 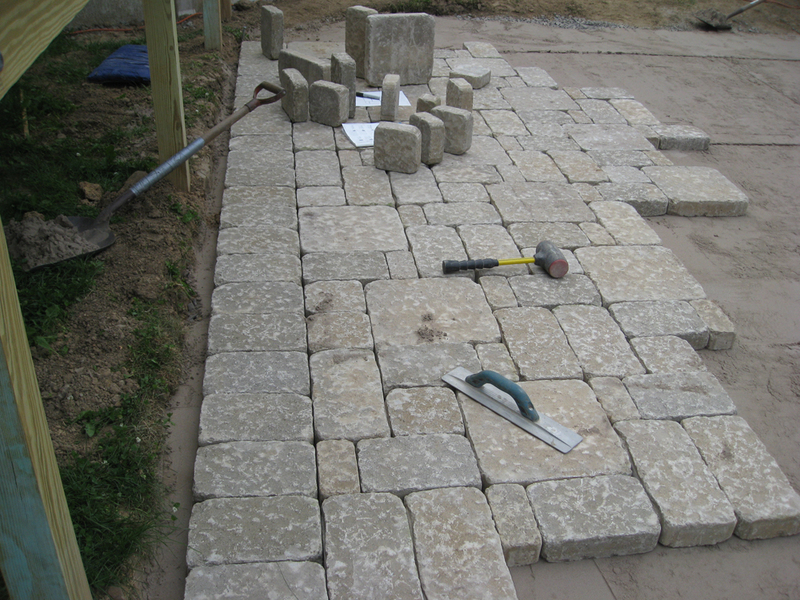 I picked some photos to sum up this project. 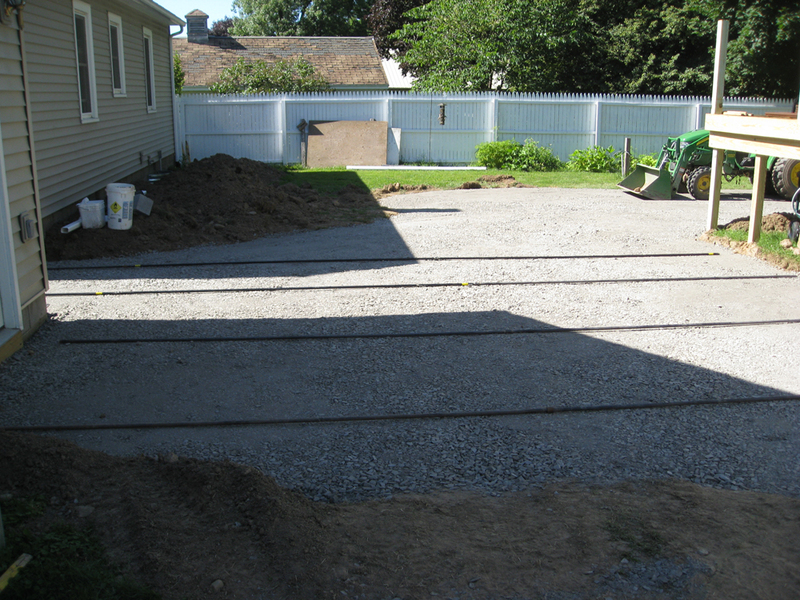 We finished the front and side. 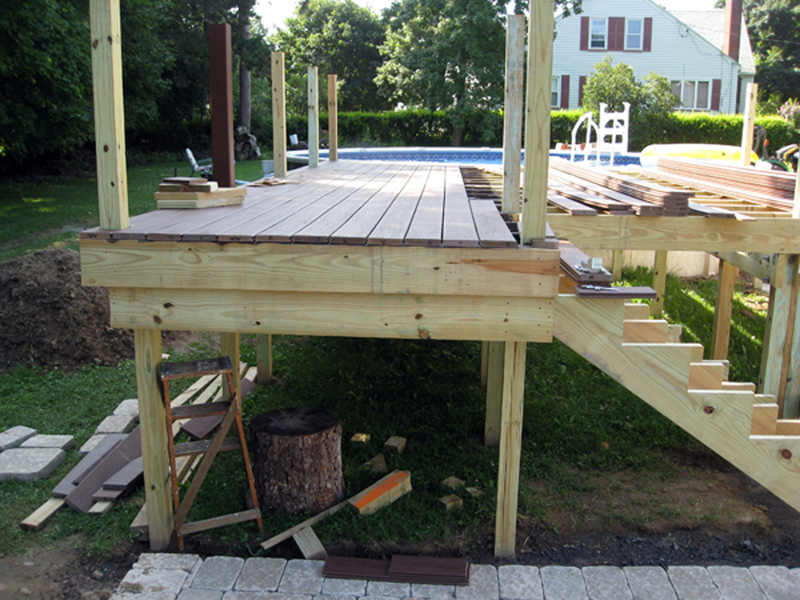 The back remains unfinished. 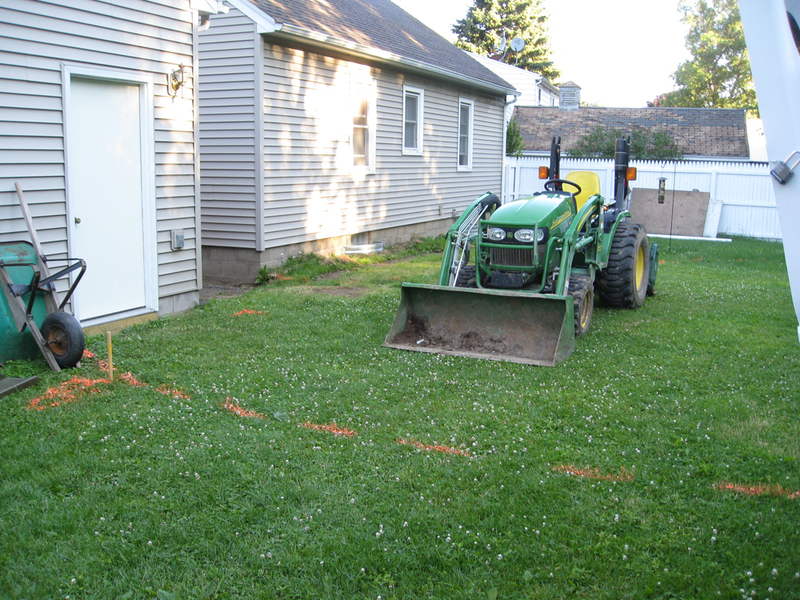 We wanted to add hinged doors so we can keep it open for storage – but basically it is just still open in the back, since we never got to it. 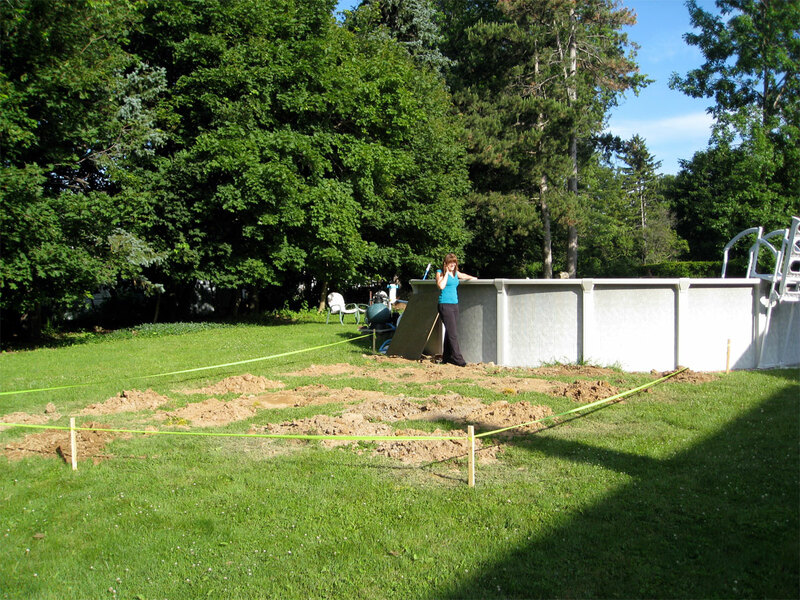 I don’t quite recall why the grass was so tall on the one side of the patio blocks. 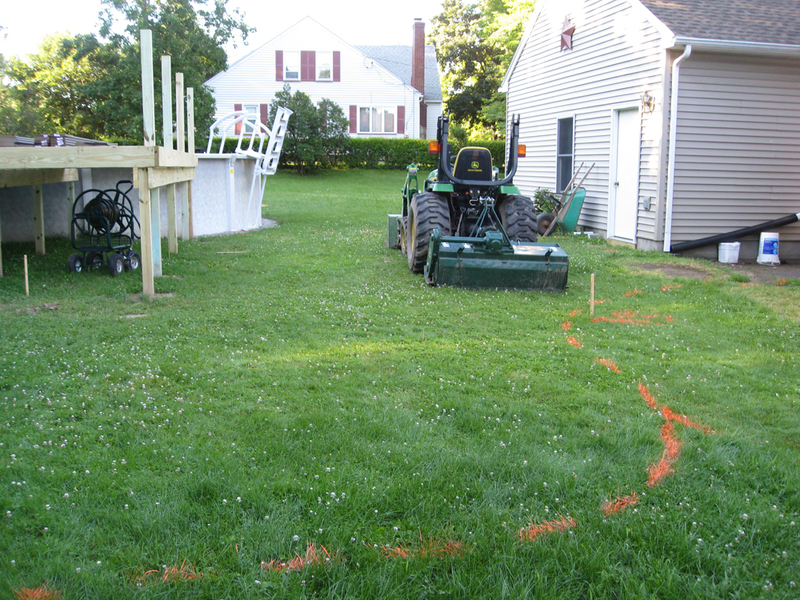 I think it had something to do with electrical lines we were running and that there was dirt and rocks over there. 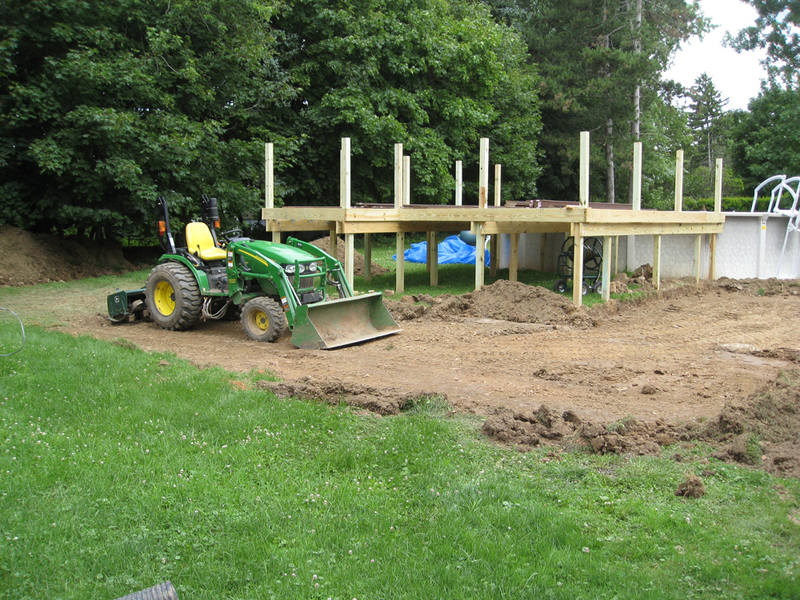 But overall we have been happy with our addition.